ICRMV 2019 accepted papers will be collected in the conference proceedings, which will be submitted for indexing in Ei Compendex and Scopus. 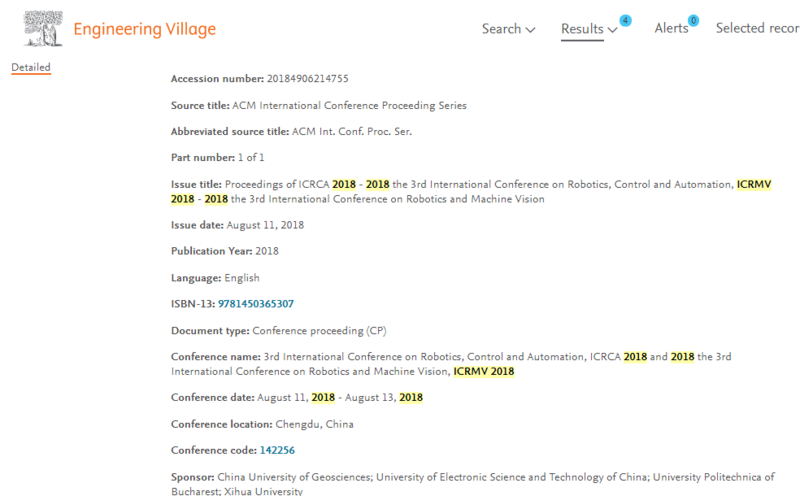 ICRMV 2018 Proceedings was published by ACM , and it was included in ACM Digital Library (Click), indexed by Ei Compendex, and Scopus. 3. Each paper should be no less than 4 pages and no more than 10 pages.